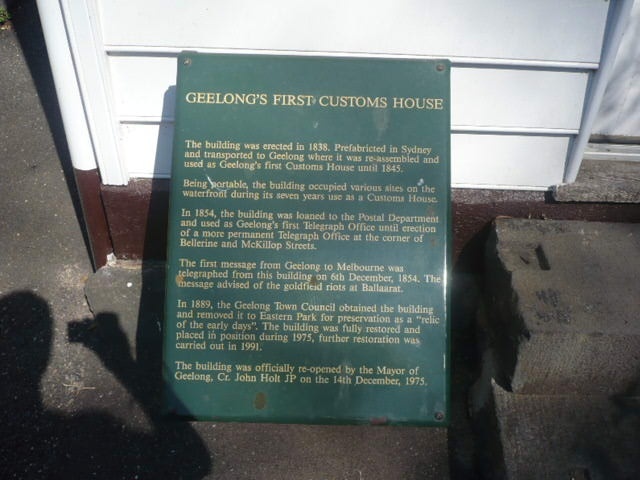 The first Customs House, a square plain timber structure built of timber studs clad with quirk bead, weatherboards and a thatch roof, was reputedly prefabricated in Sydney c. 1838 and shipped to Geelong. 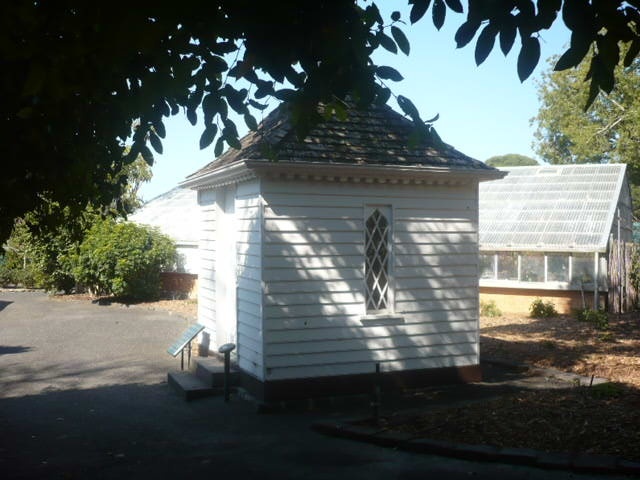 The first Customs House now located in the Botanic Gardens in East Geelong, is claimed to be the oldest authenticated building still extant in Victoria. 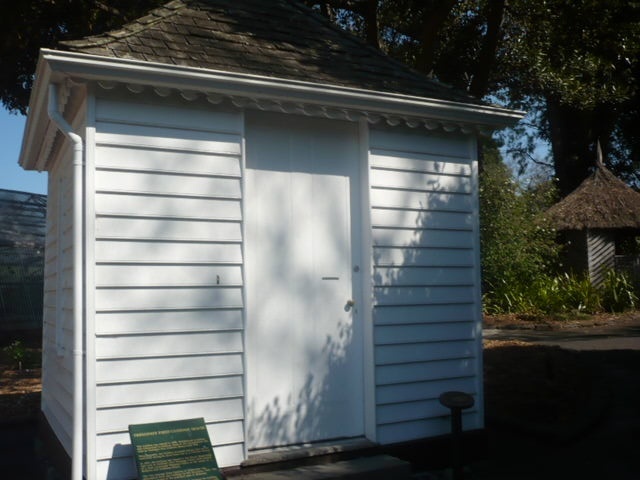 This picturesque gothic pavilion dates from the first four years of settlement at Port Phillip and is of paramount importance to the history of the foundation of Port Phillip settlement and the development of customs and tariff protection in the infant colony. 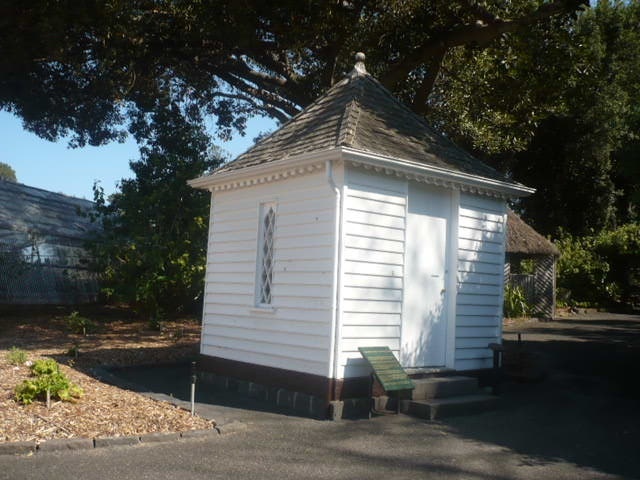 When the first permanent stone customs house was built in 1845, the timber pavilion was used for a short time as the Telegraph Office. National Trust of Australia (Victoria), File No. 2538 'Research into Customs House (First), Nursery Section, Botanic Gardens, Geelong 'August 1977. Sub Collector of Customs Records and Other Colonial Administration Documents: Public Records Office, Laverton, Victoria. Brownhill, W. R. History of Geelong and Corio Bay, Wilke and Co. Ltd., Melbourne, 1955, p.582. Stekelenburg, I.J., 'H.M. 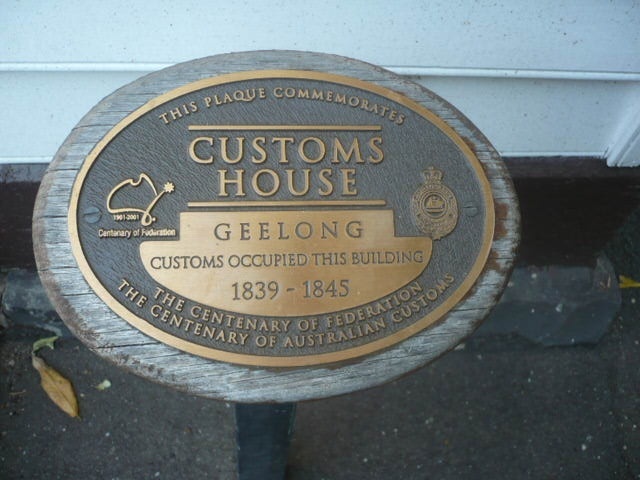 Customs House, Geelong'. History Research Essay, Department of Architecture, University of Melbourne.